Griffis grew up watching her dad, a retired barber, shine shoes. Goodfellows Shoe Shine has at least two locations in every terminal— four in Terminal D and three in Terminal E. Patricia Griffis shines shoes for Goodfellows near gate D21. She has a thick Texan accent and a southern smile. And she can save even the most hopeless shoes, like mine. “Honey, I’ve been known to work miracles,” she boasts. When asked how she got to be so good: “I went to shoe shine university.” She laughs. “Got my little diploma.” Note: There is no shoeshine university…and I might be a little gullible. With those long Saturdays spent watching her father shine shoes comes the inherent ability to read her customers. Griffis can sense when people are in a hurry (“Honey, I can go fast.”) or when they would rather read the newspaper or check messages. When away from the airport, how does the well-heeled aficionado care for his or her prized shoes? 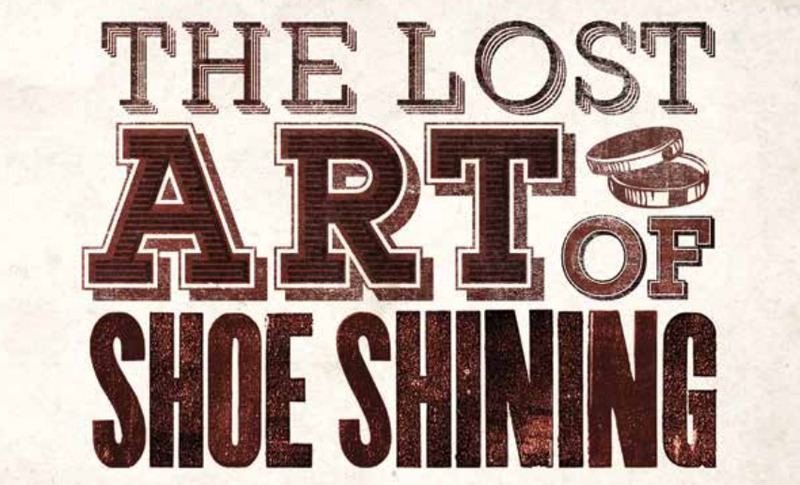 “Shining shoes is like an eleven-step process,” Griffis says. I reduced it to five basic steps and included a few secrets from the master. Tools: Griffis uses two tins of wax-based polish (one that matches the color of the shoe and also a clear polish) and a bottle of Cadillac Leather Cleaner. Avoid liquid polish. Yes, it gives a fast shine, but it can dry out and crack the leather. You will also need a polishing cloth and horsehair buffing brush. Step 1. Spread out an old towel or newspaper. Things get messy. Step 2. Cleaning and conditioning. Remove dirt and dust with a rag dipped in the leather cleaner (Griffis uses Cadillac Leather Cleaner). Step 5. And finally, check to make sure you didn’t accidentally get shoe polish on your face. Seriously. Just check.